I hope you are well and keeping warm. 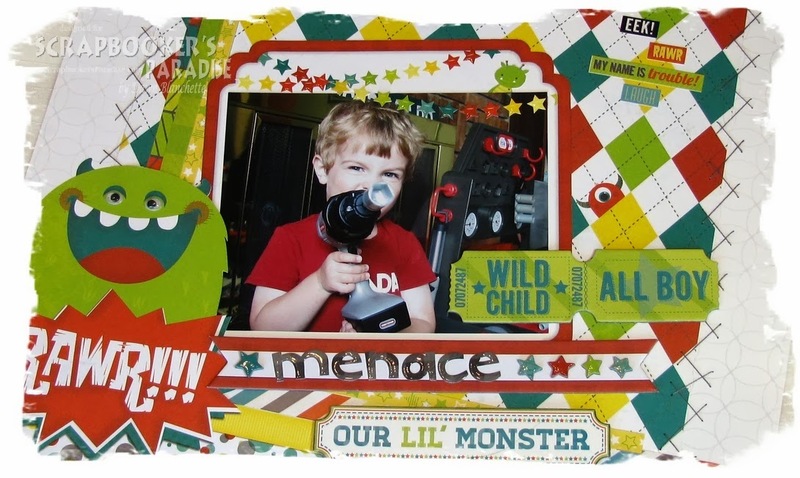 I have a quick post today to share a snippet of my little monster. My photography skills are truly lacking, so I really lucked out when I got this shot of my son. He looks so menacing, yet still adorable... it just makes me giggle. If you'd like a peek at the full layout or for a complete list of supplies, please pop over to my post at Scrapbooker's Paradise. Thanks so much for popping by & happy crafting!